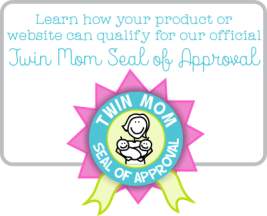 Many mothers find a real time saver in breastfeeding twins at the same time. But this may not work for everyone at every feeding. Your babies may not always be hungry at the same time and/or you may not find it comfortable to nurse them together. A flexible feeding schedule usually works well, with a more defined schedule at night time (so you get some rest). But, of course, you will discover what works best for you and your babies! Breastfeeding twins is not only possible, it is one of the most rewarding experiences you can have as a mother of multiples! It is well known that breast milk is the most perfect food for infants too. 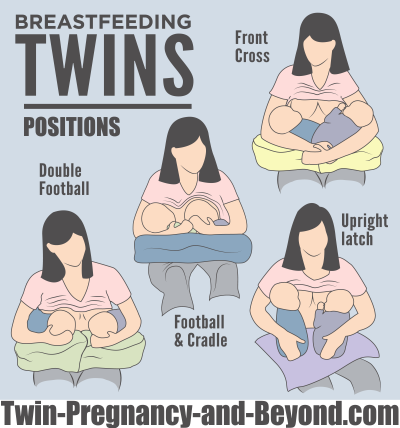 However, you should be well prepared and informed about every aspect of breastfeeding your twins beforehand. Knowing what to expect ahead of time will make breastfeeding much less complicated and a lot more enjoyable. You may need to tune out anyone with negative things to say about it. Many folks can't even grasp the concept of breastfeeding at all let alone breastfeeding twins. The nice thing about breastfeeding twins is that your milk is always ready and at the perfect temperature. That's a good aspect to remember when you feel like giving up, which some mothers who have a more difficult start may experience. Just remember, mixing formula, warming it, and sterilizing bottles can become even more time consuming than breastfeeding....Not to mention expensive! Another thing to consider is keeping a feeding log. This usually starts at the hospital and can then be continued at home. It’s an easy way of keeping tract of who was fed, at what time, and how much....A great help when you are tired, feeling stressed, and can't remember when you last had a bath, let alone who was fed! Nursing your twins may well be the first time you truly see their individuality starting to bud. For example, one twin may suckle down their meals very quickly while the other takes a slower pace. Or, one needs to be burped right away while the other goes right to sleep, etc. So keep this in mind when finding the right routine. Whether breastfeeding twins at the same time or separately, it’s a good idea to be relaxed and comfortable. You will indeed find one or two positions that work particularly well. When nursing twins at the same time, try the double clutch hold (a.k.a. the football hold), double cradle hold, clutch and cradle hold, or lying down. There are even a few decent twin nursing pillows available that have been specially designed with large firm surfaces that easily support two babies. There are some models available online through Trends In Twos™ like the TwinZ Pillow. *For more detailed information on twin nursing pillows, visit our informative Twin Nursing Pillow Guide page. I would also like to talk a bit about breast pumps since it's common for nursing moms to use one. You should definitely look into purchasing or renting a quality, electric breast pump before the birth of your babies. Most mothers will find them extremely handy, especially during the early months of simultaneous nursing. Because of the higher probability of a premature birth there may be some obstacles to overcome before you can start breastfeeding your twins. Some common problems with preemies is their inability to latch onto the breast and weak suckling. Not to mention, the possible requirement of special care immediately following delivery for preemies and or mom. Thus, the need for a breast pump! Most hospitals will have their own breast pumps available for use during your stay so that your twins can be provided with breast milk via a Haberman feeder or feeding tube if need be. But you will need your own pump when you get home. There are many benefits to this which I will go over briefly. Always remember that each and every mom will have their own totally unique breastfeeding experience. What works for some will not work for others and vice versa. Get good information and use your awesome Mommy instincts and you too will be simultaneously feeding your twins the way that works for you. 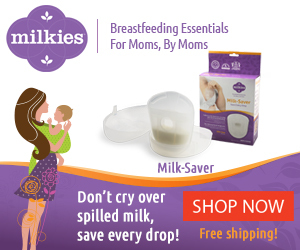 Firstly, a breast pump will really help you to attain the strong milk supply essential to nourishing two babies. Next, there is always the chance that your babies will need to stay in the NICU for several days or even weeks. So, you may want or need to go home and pump breast milk to bring back to the hospital. Also, you should think about pumping extra breast milk that can be served to your babies by someone else via a bottle once you are home. This is especially important when you need some added help with feedings, but don’t want to give formula. Lastly, breast pumps are easy to use, portable, and come in a wide range of prices (about $40-$300) and styles from manual to electric. My personal favorite, the electric Medela Pump In Style Original Breast Pump, was used for my twins as well as my singleton years ago. It was without a doubt, stylish and reliable. Although, a bit on the pricey side, it was money well spent! You can easily research this or any other brand on the web for the best price and model that work for you. I'm sure as the years go by and technology changes they will end up being even more efficient and cost effective than when I was using mine. 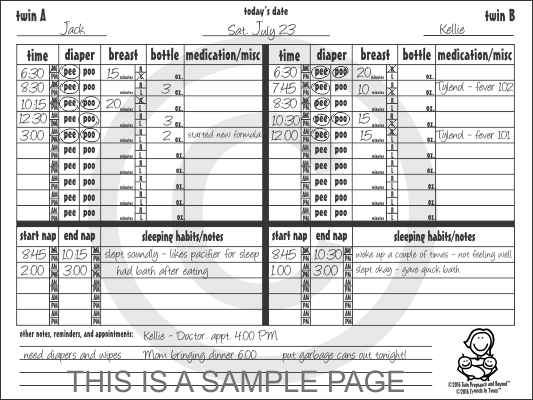 Need help with keeping track of feedings, diaper changes and more? Grab an instant download of our popular Double Duty Log Sheet for just $2.99. Save your sanity and stay on schedule! If you are ever in doubt about your nursing ability or have other questions and concerns, be sure to visit the La Leche League International website. The La Leche League has been around for more than 50 years and offers a loads of valuable breastfeeding information. Also, be sure to check out our Tandem Nursing Gallery where you can see photos of moms breastfeeding their babies in a variety of positions for a better visual on what might work for you.